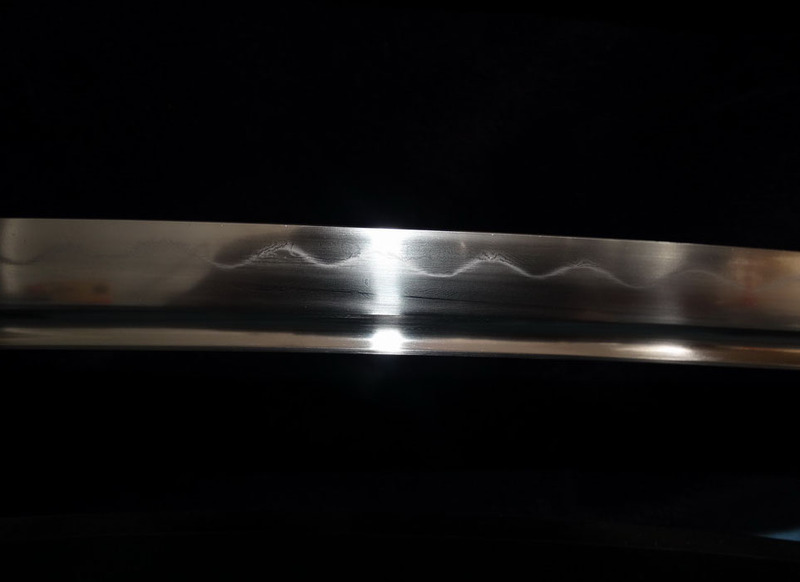 For those wanting something just a little bit special that the standard 3.0 Katana cannot include without charging more - currently have your blade FOLDED, LAMINATED (SanMai or Kobuse) get LEATHER ITO and/or RAYSKIN SAYA optional upgrades, or a handful of hard to source but popular koshirae sets - all upgrades at very reasonable additional surcharges. 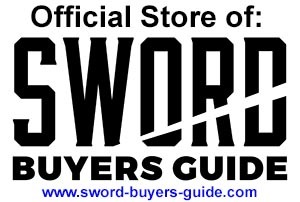 One very popular optional upgrade regards the steel - you can now choose to have your sword folded around 6 or 7 times (any more than this may weaken the blade) for an additional $60. It’s purely cosmetic and does nothing except add an extremely attractive and traditional finish to the blade. 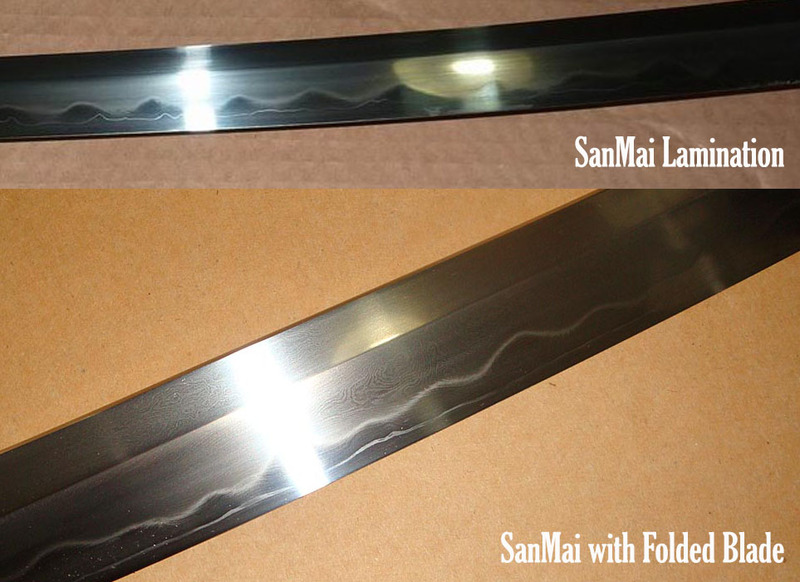 Optional Upgrade from standard Maru (monosteel) lamination to a complex SanMai (three layer) style laminated traditional blade for $90. Can combine with the folded steel option. 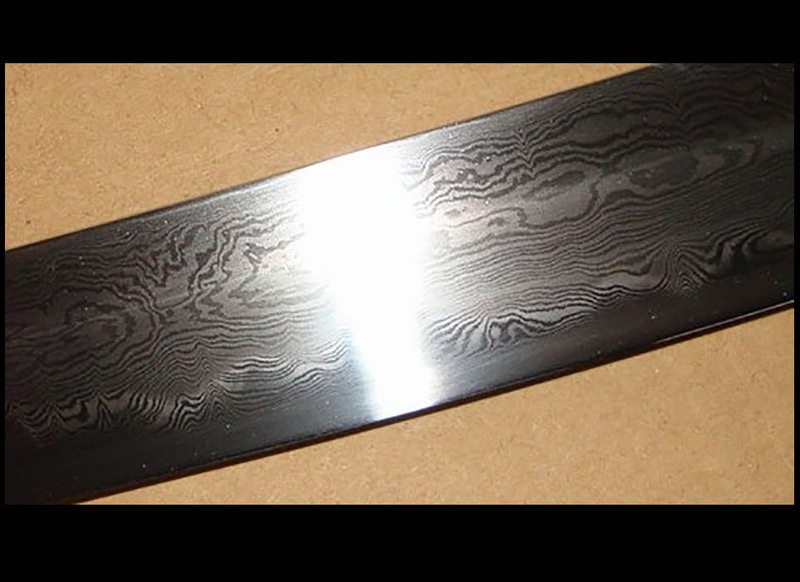 Optional Upgrade from standard Maru (monosteel) lamination to a complex Kobuse (jacket) style laminated traditional blade for $90. Can combine with the folded steel option. 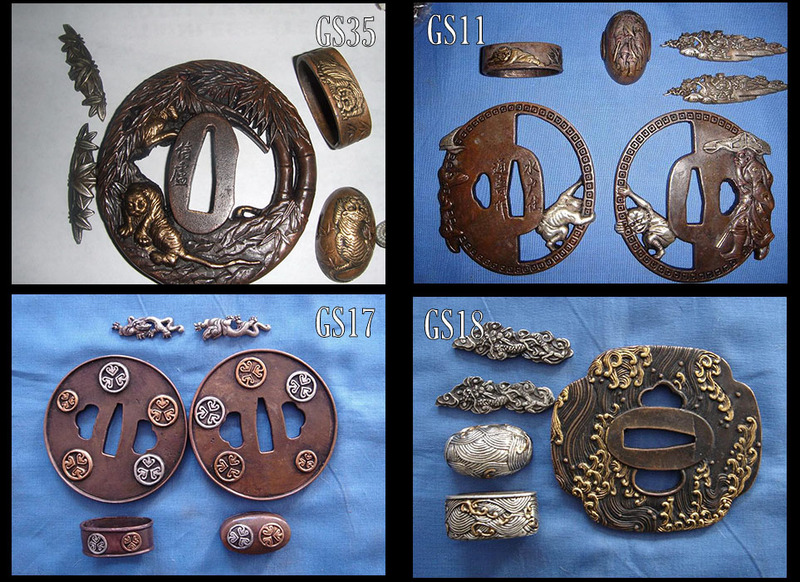 4 Extremely Popular Optional Special Tsuba and Fuchigashira Koshirae sets sourced from a different supplier. 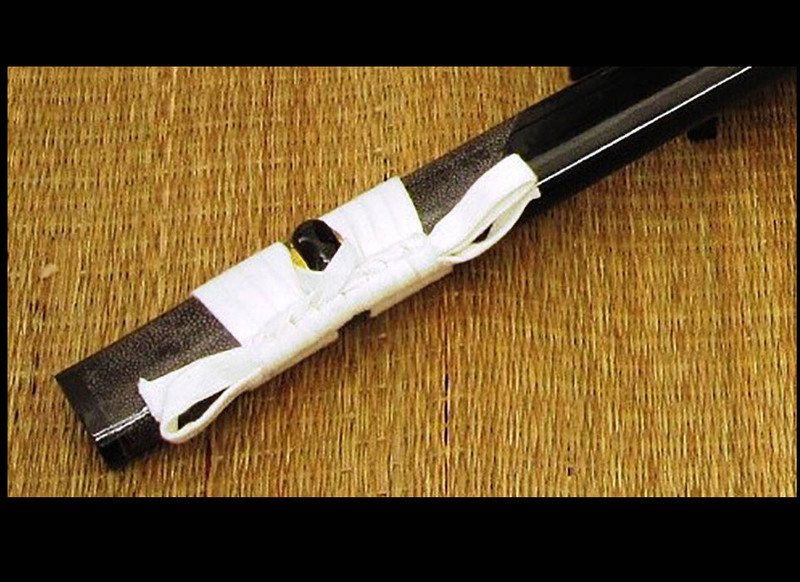 For a real ‘bad boy’ look, we have an optional natural leather ito wrap for $60 (available in black only, now uses 'Hishigami' to provide a very even, clean wrap). 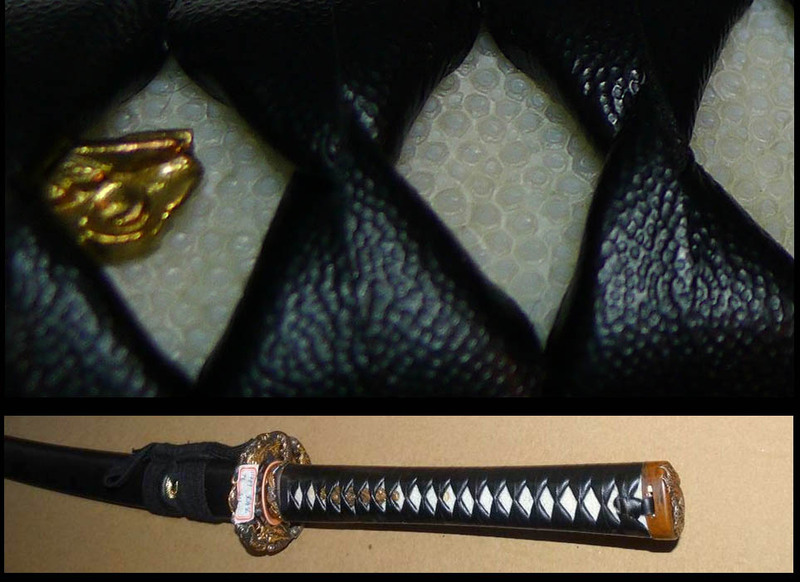 Take a premium saya made of premium quality wood, strengthen the ends and central knob (kurigata) with buffalo horn and then reinforced with a FULL rayskin wrap - its not only luxurious, its almost three times STRONGER than our standard saya. Available only in textured or glossy black.